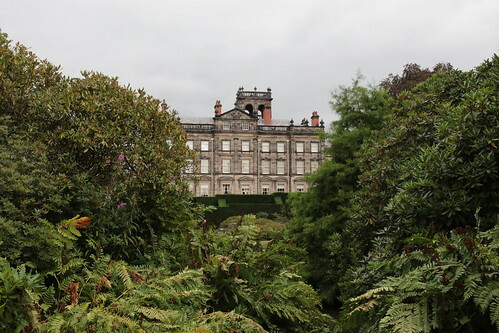 On our way up to the Lake District in August, we stopped off at a National Trust property to eat our lunch. 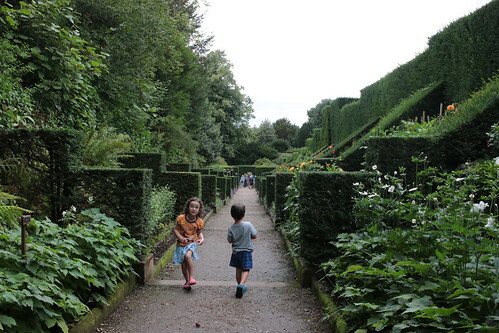 We chose Biddulph Grange Gardens, and I’m so glad we did. The gardens were spectacular, even by NT standards, and this ranks as one of our favourites (and the bloke and I have been to a fair few). 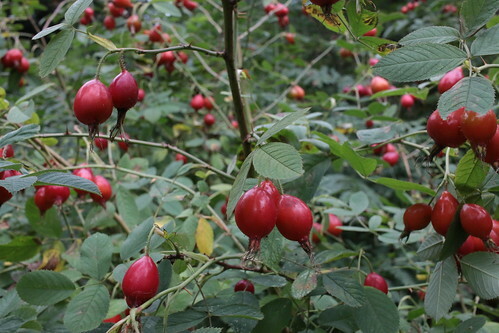 It was laid out in a tangled nest of paths, some leading to the next garden, others to little cul-de-sacs full of one particular type of flower or tree. 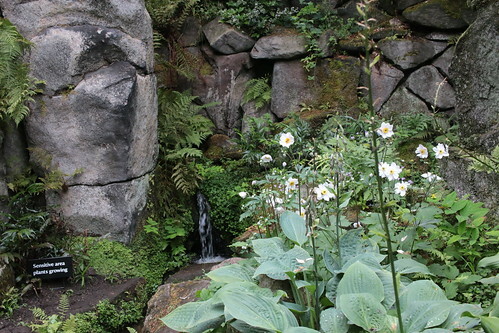 Some gardens were very formal and themed, and others scarcely more than a wild tangle of leaves and fronds. It was great fun to explore. 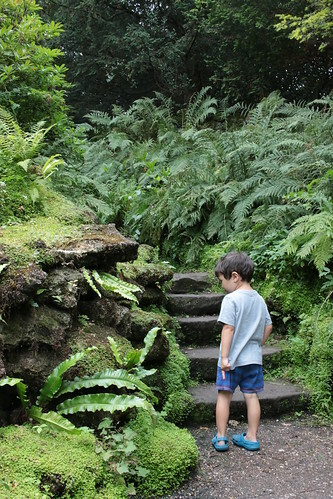 Whichever staircase you choose, you will end up someplace magical. The house itself (not open to the public). Keiki doesn’t know where to look first. 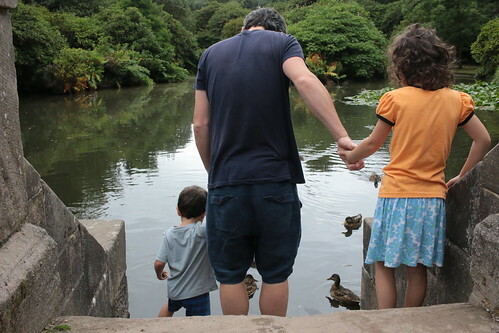 She found the pond with the enormous koi carp, and led the bloke and Keiki to it. 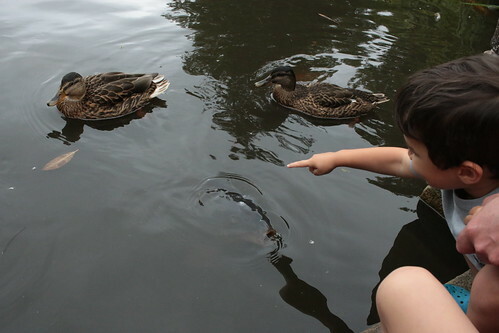 The koi were surprisingly amenable to the attentions of children. 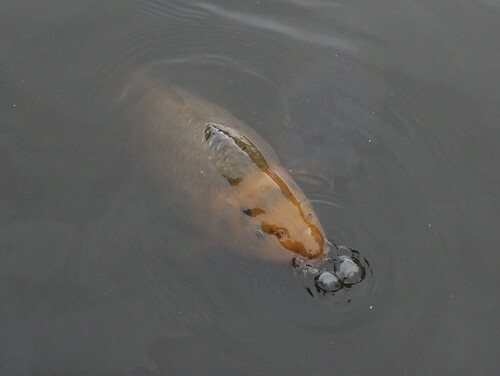 They even seemed to enjoy showing off. 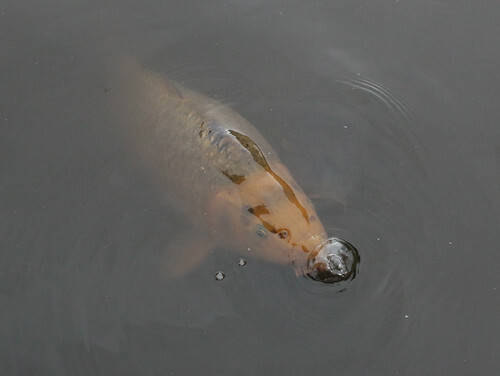 This big orange one had a fondness for blowing bubbles. 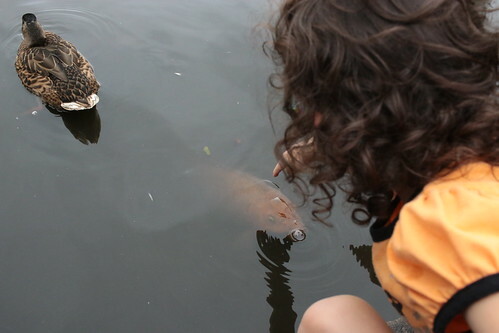 Big Grey Koi actually did allow Keiki to stroke it with his finger. It made his day. 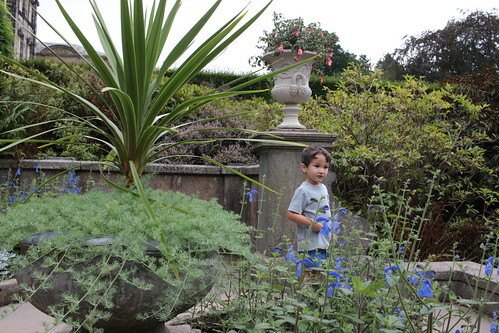 Keiki and Humuhumu prancing past the dahlia beds. 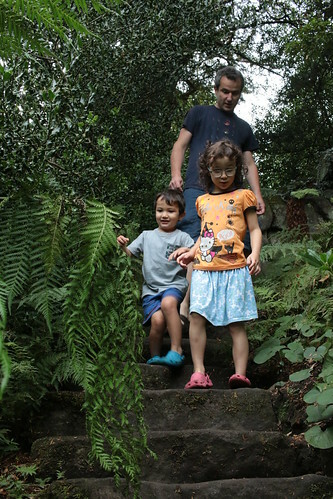 Keiki, Humuhumu and bloke under a stone arch. 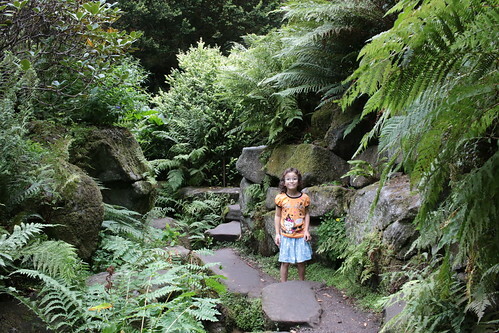 Keiki considers the moss on the stones. 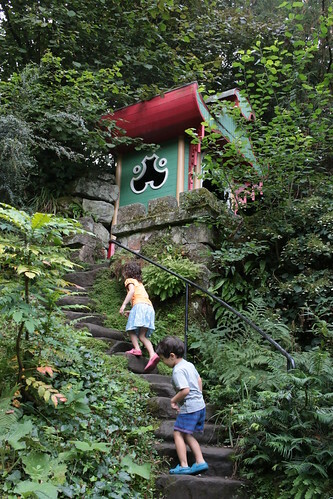 Humuhumu and the bloke march up the stone steps, heedless of mossy distractions. 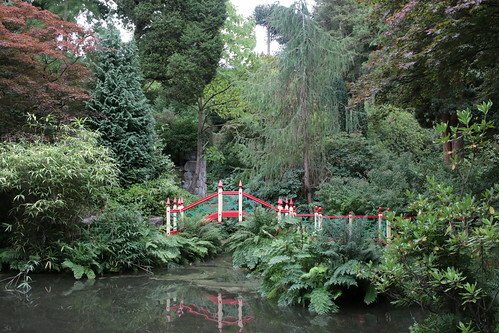 The pretty, colourful bridge over the pond in the Chinese Garden. Humuhumu and the bloke were the first to reach the bridge. Standing on the bridge, looking across the pond of the Chinese Garden. 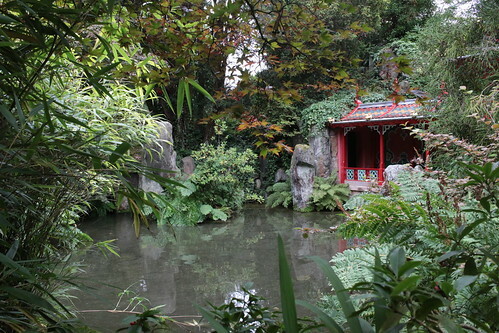 Another view of the Chinese Garden pond. 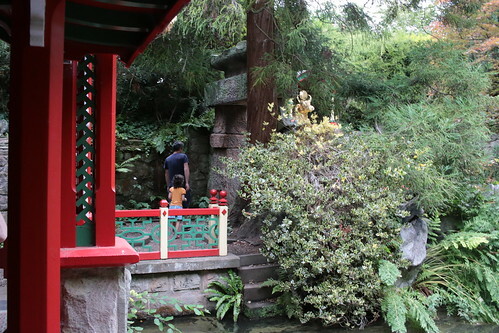 Keiki and Humuhumu ascend the steep stone staircase to a pagoda nestling high above the rest of the Chinese Garden. 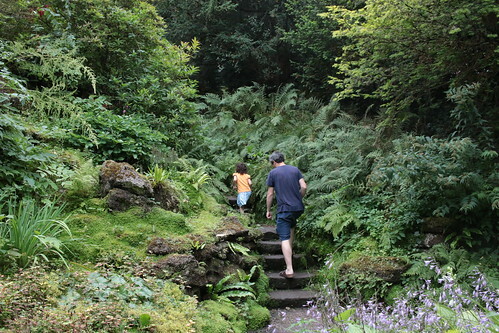 And now back down, to find the tiniest waterfall. 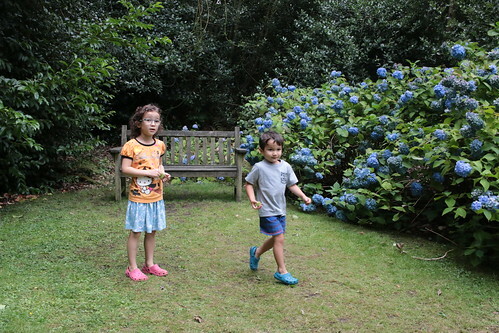 Keiki and Humuhumu found some sweet chestnuts in the hydrangea garden. 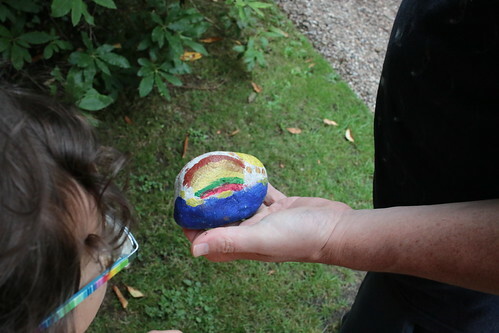 They also found a hidden painted rock. Is this the way out or a way back in? Who knows. This entry was originally posted at https://nanila.dreamwidth.org/1193019.html. The titration count is at .0 pKa. They're definitely top three for me amongst the NT gardens. I'm so happy you love it. My gran was in service as scullery maid to the family who owned it, but worked at another property. 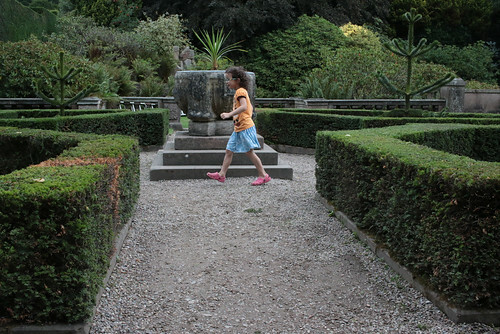 When she died the garden recreation project had just started. 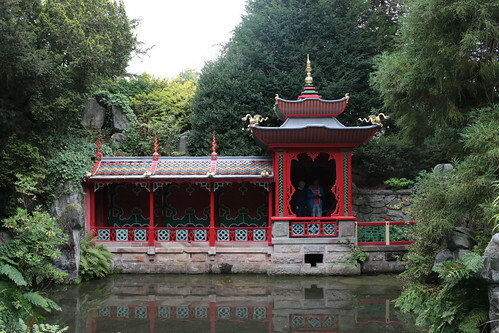 Instead of flowers at her funeral donations went to Biddulph Grange. She has a page in memorial book there. Many of my family are buried in churchyard next door. 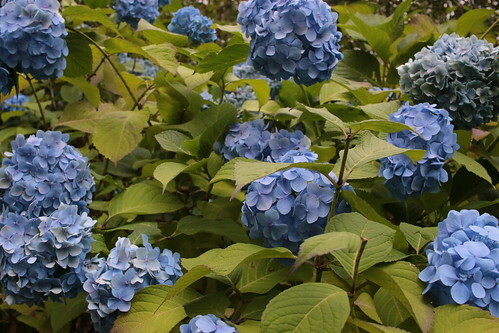 Go one year when rhodendrons and azaleas by lake are dropping petals the lawn glows with colour. Did you see upside down tree on lime walk? Ah, I had no idea you had such a personal connection to it! 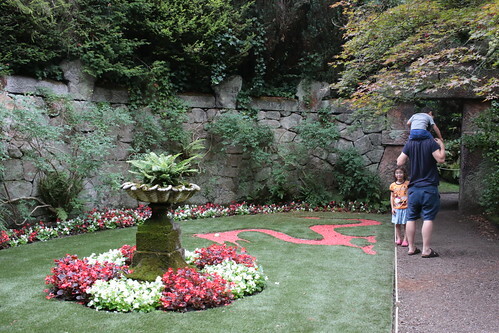 I would love to go back in rhododendron season. It's not too far away. We did see the upside down tree but I didn't get a picture of it, so clearly we need to return. How lovely. Those dahlia flowers are fabulous. They are amongst my favourite plants. I don't know where Biddulph is, although I've a feeling it's somewhere near Stoke-on-Trent. Am I even remotely near the mark? However, I think I see a rather Welsh-looking dragon in one of the photos! About 25 miles north of Stoke-on-Trent. 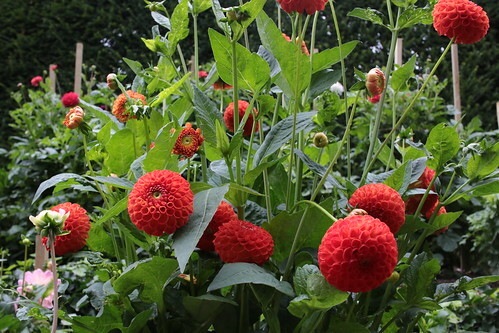 They have a specific area called the Dahlia Walk which should be in full bloom about now and the autumnal colours peeking in will be stunning. I wish I could. It'll just have to go on my long list of things I hope to get around to doing eventually. The dahlias were arranged in beds by colour. You would have enjoyed that very much, I reckon! I'm sure I would. Incidentally, I suppose it'll be a Chinese dragon, won't it? I eat my words! 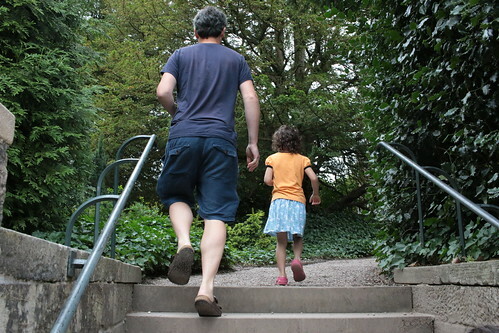 I did enjoy visiting NT places when I lived in the UK. It is stunning, and also so much fun to explore. 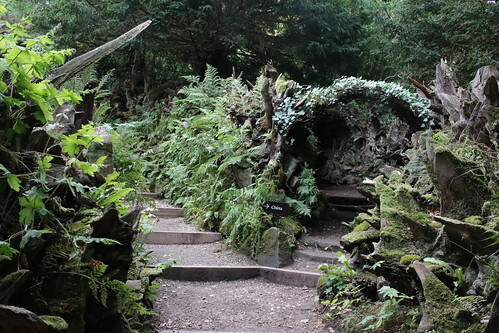 It definitely ranks near (or possibly at, if I were to sit down and go through them methodically) the top of my list of NT gardens. I absolutely love gardens like this. Yes! 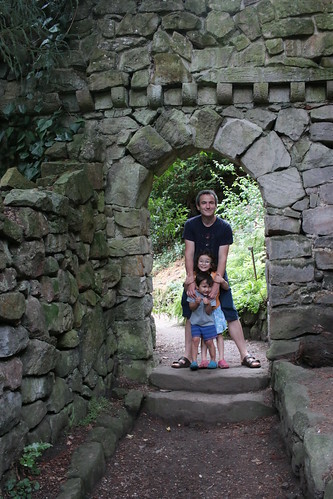 If you ever find yourself in Staffordshire on a trip to the UK, it's well worth making a targeted trip to see it.